The Work Number is a company that provides employment and income verification for current and former RIT employees. The Work Number can provide verification of employment with or without income. By using this process, obtaining verification of employment and income information is a much quicker and simpler process. How do I know I'm access information provided by RIT? 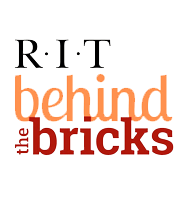 When logging into The Work Number website, look for the RIT Tiger logo. Contact the Client Service Center at The Work Number 1-800-996-7566. Customer Service Representatives are available Monday - Friday, 7am to 7pm CST. What is a verifiying company? A verifying company is typically a lender, bank, mortgage company, housing complex or employer requesting information on the employee about their job or salary information. Do I have to use The Work Number for employment verifications? Yes. All employment and income verifications are now being completed by The Work Number. A salary key is a special authorization code that the employee generates in order to authorize the release of income information. A salary key is not required for non-income verifications. Do employees have to pay for an employment verification to be completed? No. Employees will not be charged for using The Work Number verification process. The charge for this service is covered by the verifying agency. If I no longer work at RIT can I use this verification process? Yes. You will maintain the ability to have a verifying agency access your employment and income records through The Work Number. You will also be able to create a salary key even after you leave employment with RIT.